A year ago in Davos, the then World Economic Forum Global Agenda Council on Europe published a short report: Europe: What to watch out for in 2016-2017 . We noted that the EU "seems to be moving from one emergency to the next", and that "Europeans have taken their eyes off more profound long-term challenges". We concluded that "how the European Union copes with its immediate problems in the next couple of years will determine how the continent will fare in the decades to come." We highlighted challenges concerning the European economy, digitalization, migration, geopolitical threats and the risk of Brexit. We ended with two scenarios for the coming years, in order to focus attention on both the opportunities and the risks. 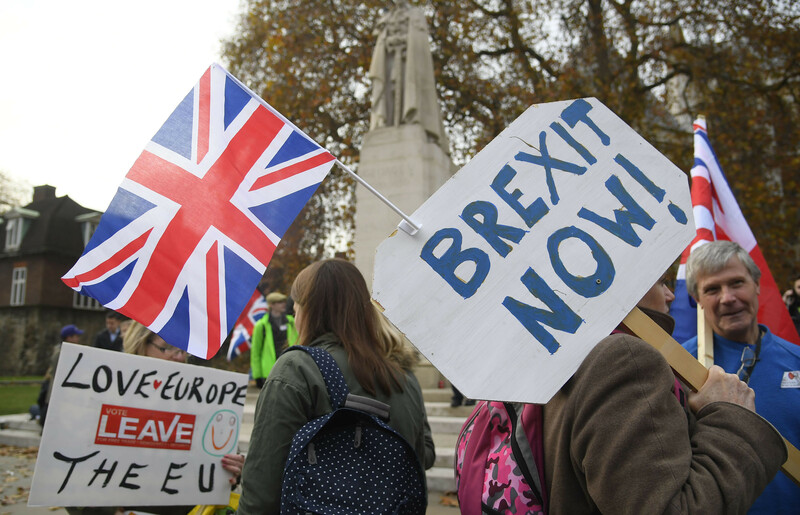 Last year, we argued – against the conventional wisdom at the time – that the risk of a Leave victory in the UK referendum was substantial, fuelled in particular by widespread concerns about refugees and migration. In the event, a slim majority of Britons did vote to leave. Theresa May’s government is now committed to turning Brexit into reality. Just a couple of months before its self-declared for triggering the Article 50 process of exit negotiations, the May government does not seem to have a clear and unified strategy for either the negotiation process or what it wants to achieve in the future EU-UK relationship. Once Article 50 is triggered, however, the clock starts ticking and we assume that the formal exit of the UK from the EU will happen at the latest on 1 April 2019. The exit negotiations will be difficult and potentially divisive, but are far less important than the negotiations on establishing a new formal relationship between the UK and the EU. Substantive negotiations will only be possible once the UK government has defined what sort of relationship it wants with the EU-27. It will then take time for the EU countries to formulate their position on the UK’s requests; then for some sort of compromise deal to be found; and, finally, for a treaty setting out the new relationship to be ratified and implemented. There is virtually no chance of even the first two stages of this process to be concluded by the time of the UK exit. Unless an interim arrangement, which in all probability would have to be based on continued membership of the single market, is agreed prior to the exit date, the UK and the EU will be heading towards a "messy and hard exit", with potentially very disruptive effects for different economic sectors. It is now confirmed that the May government intends to take the UK out of the single market, which by any reasonable definition is a "hard Brexit". The best that can be achieved for business under these circumstances is probably a "slow but hard Brexit", which allows for adjustments during a longer period. Economists agree that a hard Brexit would impose significant costs, primarily on the UK, but also on the economies of the EU-27, with their severity varying from sector to sector. Integrated production chains, for example in the aerospace and automotive industries, will face obvious difficulties. Restricting the free flow of capital between the continent and Europe’s biggest financial centre in the City would have repercussions, not only for London-based financial institutions, but also for financing opportunities across Europe. Businesses from all sectors should also watch what happens to the rules for data flows across the Channel. The 2015 refugee crisis abated after the EU-Turkey migration deal and the closure of the Balkan route in the spring of 2016. According to the EU’s Frontex border control agency, “the total number of migrants reaching Europe by two main sea routes in 2016 fell by nearly two-thirds, to 364,000 in comparison with 2015". 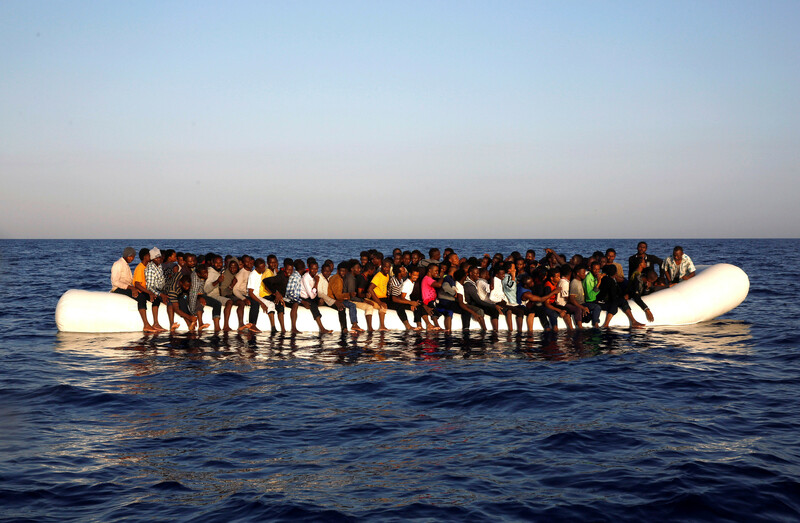 But while the number of primarily refugees from Syria and Afghanistan coming across the Aegean Sea dropped by about 80%, the number of primarily migrants from West Africa reaching Italy across the central Mediterranean rose by 20%, and reached a record high. 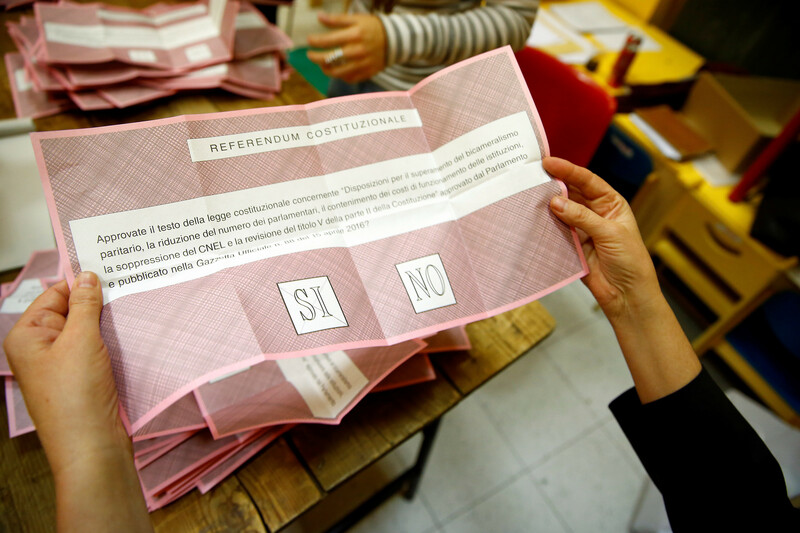 The influx into Italy has fuelled mounting concerns and dissatisfaction, which may have contributed to the referendum defeat and resignation of Prime Minister Renzi in December 2016. Although the number of asylum seekers in Germany fell to below 300,000 in 2016 (according to preliminary estimates, down from almost 900,000 in 2015), Germany still took in more refugees than the rest of the EU combined. This has fuelled doubts about EU solidarity among the German population: the share of Germans who hold a positive view of the EU collapsed from 45% to 29% in the course of one year. Three out of four Germans say they feel let down by their European partners. 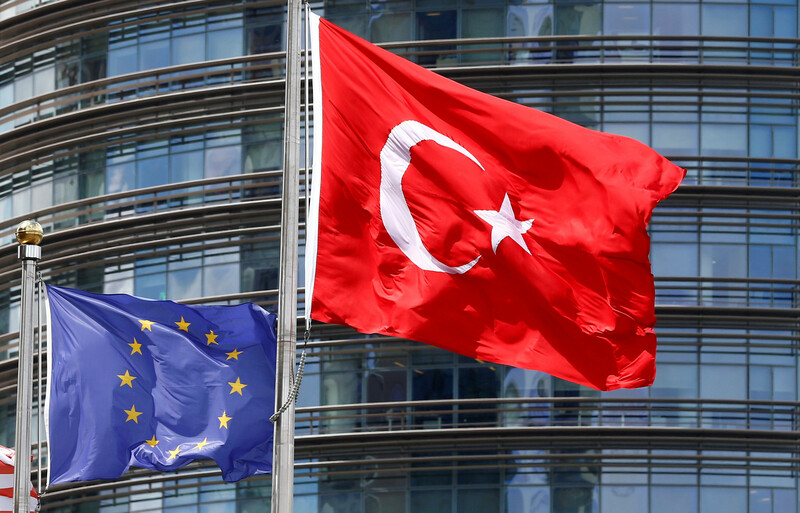 Turkey feels that the EU did not acknowledge the serious threat posed by the failed coup attempt in July; that European countries are not doing enough to help fight the PKK terrorist group; and that the EU is not willing to deliver the visa freedom that Turkey craves. The EU, on its part, is concerned about ever tougher restrictions on media freedom and civil liberties in Turkey and has criticized the extent of the post-coup crackdown. Calls to freeze or completely abandon Turkey’s EU accession process have grown louder, although among the member states only Austria openly calls for the later. If Turkish President Recep Tayyip Erdogan implements his threat of “opening up the floodgate” of refugee flows, a renewed large-scale influx of people via the Balkans could have profound implications for forthcoming elections in the Netherlands, France and Germany (and perhaps early elections in Austria, too) – all of which face populist and anti-immigration challenges of varying severity. To increase its resilience in face of the fragile EU-Turkey agreement, the EU has decided on a number of measures to strengthen control of the external Schengen border and to move towards a genuinely common migration and asylum policy. This includes a dialogue with and outreach to the African countries in view of the migration pressures certain to come from there in the decades ahead. The focus has now shifted towards security and Islamist radicalization within individual EU countries. Although the total number of people killed by successive terrorist attacks in Europe remains relatively low, also in historical comparison, public concern remains very high, driving also important measures to remedy deficiencies in counter-terrorist cooperation among European countries. Real economic activity is growing, thanks to strong consumption, the ECB's still very accommodating monetary policies, low oil prices and the weaker Euro. These forces should help produce growth of 1.5-2% in the European Union this year, one of the strongest growth rates in years. The difficulty the EU had in getting the EU-Canada trade agreement (CETA) ratified (the Belgian region of Wallonia held up the process during a dramatic week in October) serves to illustrate the challenges ahead. Since then, the European Court of Justice has ruled that any new trade agreement that goes beyond external tariff cuts, which is the case for all modern trade agreements, must be ratified not only by the European Parliament, but also by all national – and some sub-national – parliaments across the EU (39 in total). Next in line to be ratified is the trade agreement with Singapore. The future of the Transatlantic Trade and Investment Partnership (TTIP) between the EU and the US – once heralded as Europe’s best hope for reviving its competitiveness and staying ahead in a global race to set standards for the digital economy – looks highly uncertain with Donald Trump in the White House. Even a much less ambitious transatlantic agreement is not certain to be ratified, given widespread doubts about its possible impact on public services as well as environmental and food standards, particularly in Germany. Fears of a hard Brexit, populist election wins and an escalating trade war caused by President Trump’s attempts to shield the US market could well cloud economic expectations in Europe in the year ahead. Meanwhile, the long-term outlook for the Eurozone remains tainted by the seeming inability of two of its core members – France and Italy – to implement meaningful reforms. Both countries are now in election mode, and much will depend on the outcome of their respective polls. If Francois Fillon wins in France and a reinvigorated Matteo Renzi returns in Italy, prospects for reform and Eurozone stability will look good. If paralysis continues, however, doubts about the sustainability of the Eurozone will resurface in due course. In its endeavour to prepare European societies for the digital future, the EU has made some incremental progress in 2016, although the process remains slow in view of the complexity and sensitivity of some of the issues involved. This was reflected in the process that led to the adoption of the General Data Protection Regulation (GDPR), which will come into force in May 2018, as well as in the eventual agreement with the US on the new Safe Harbour agreement on data transfers. In both cases, privacy concerns loomed large in the debate, with the European Court of Justice taking a particularly strict line. The new Safe Harbour agreement (“Privacy Shield”) will be challenged in the European Court of Justice. There is also a significant risk that the Trump administration will go back on some of the assurances on surveillance issues given to non-US citizens. This could create significant risks to the rapidly developing trans-Atlantic data economy with its increasingly important digital value chains. Also within the EU, and despite the EU’s aim of creating a fifth freedom for the cross-border movement of data, we still see mercantilist tendencies in the debate about data flows in some EU countries, and restrictions on how data can be stored will impose costs on business in the EU. In June 2016, the EU published its European Global Strategy, attempting to set out a coherent framework for its relations with the outside world. From this flowed both a new level of cooperation with NATO on meeting different "hybrid" threats, as well as plans for new steps in security and defence cooperation inside the EU. 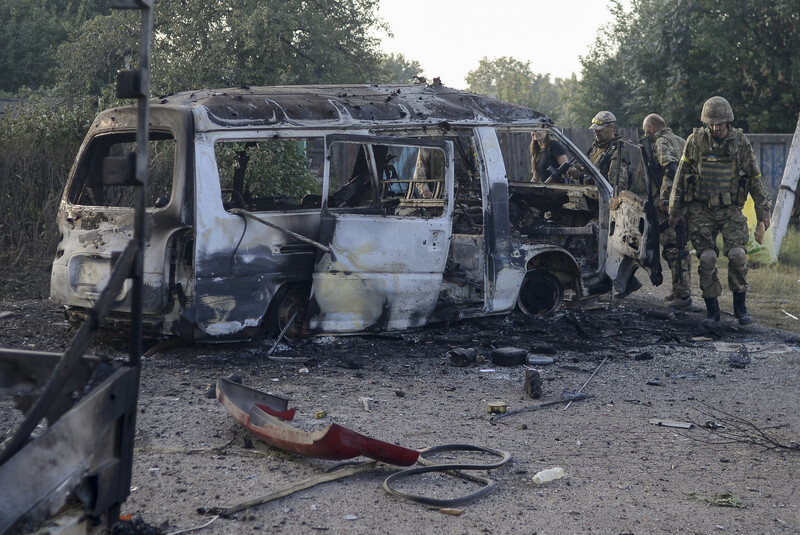 The Minsk process to deal with Russia's aggression against Ukraine continued to be run by Germany and France, but in substance went nowhere, with 800 Ukrainian soldiers and civilians killed in continued low-level attrition fighting in the Donbas area. EU sanctions on Russia have accordingly been extended for a further six months. Syria peace talks, started in a UN framework, continued bilaterally between the US and Russia, but have now been taken over by Russia and Turkey with a role also for Iran. Prospects are uncertain, at best. On a positive note there is now a serious possibility of resolving the issue of a bitterly divided Cyprus – although the outcome of the twin referendums to ratify a possible deal remains hard to predict. The politics of Europe, along with the rest of the Western world, has entered a new period of volatility. The EU itself seems to have halted the slide in support and legitimacy it has suffered in recent years, at least for now. One of the effects of Brexit has been to reduce support in the remaining 27 countries for the idea of leaving the EU, although this probably has been driven more by fear of the uncertainty associated with leaving the EU than genuine support for the EU process. The latest Eurobarometer polls, released in November, also show that the decline in confidence in the EU has been arrested. The curve shows a clear correlation between EU performance and support for it. During the acute phase of the Euro crisis in 2011-2012, confidence declined considerably, but as the crisis receded, confidence started to move up again. Then the refugee crisis in 2015 caused another slide, which has once again been reversed as the acute crisis was handled. Going into 2017, immigration and terrorism, rather than the economy, are seen as the key issues for the EU to handle. The challenges for the cohesion of the EU will come from within the member states in the next couple of years. Across European countries, previously dominant political parties have lost support to populist forces focusing on anti-immigration, anti-trade and anti-Europe issues. Many mainstream parties are trying to regain voter support by copying some of the policies of their populist challengers, including being “tough” on the EU. Such tactics may not succeed, since the current political revulsion seems to go much deeper than voter dissatisfaction with individual policies. The traditional Left/Right divide is everywhere being supplemented or replaced with a new divide along the lines of open or closed societies. This new divide is driven to a large extent by a sense of cultural, physical and economic insecurity among particularly elderly and less urban parts of the electorates across Europe. The second round of the French presidential election on 7 May will in all probability be contested by Francois Fillon of the centre-right and Marie Le Pen of the populist right. 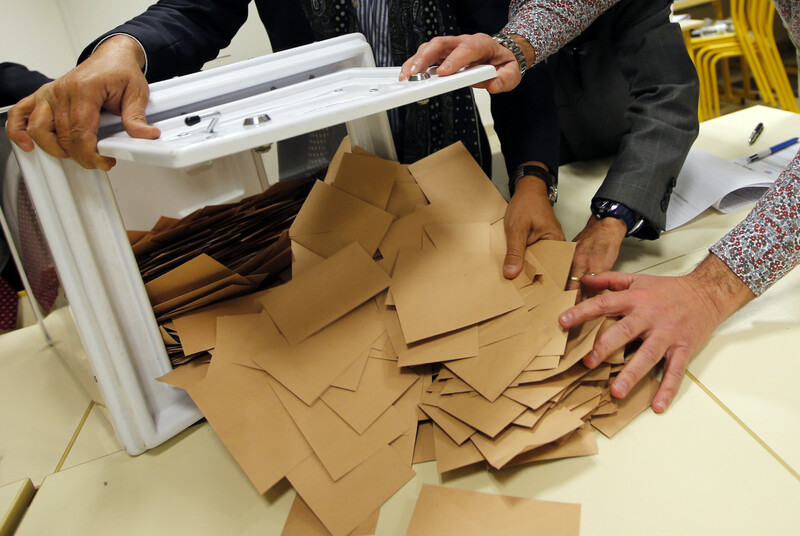 Present opinion polls indicate a 60/40 outcome of such a race, but the situation is volatile, events might influence the campaign and a victory for Le Pen, although unlikely, cannot be ruled out. Le Pen favours France leaving the Euro and has talked about a UK-style referendum on future EU membership. A victory for her would take the EU into a far more fundamental crisis than has been the case with Brexit. The German election in early autumn is unlikely to lead to any major change in the country's European and international policy. Current polls show Angela Merkel’s CDU as the largest party, which implies that she will be tasked with leading the EU’s biggest country for a fourth term. However, Merkel will find forming a coalition after the election unusually complicated. With the populist Alternative für Deutschland certain to enter the Bundestag and the small Liberal party likely to return, there could, for the first time, be six parties in parliament. On current polls, the only option for a majority would then be another “grand coalition” with the Social-Democrats. If, however, the Social Democrats suffer further losses, which they will interpret as voters’ punishment for not offering a clear alternative to the CDU, they may be reluctant to join another Merkel government. Spain now has a minority government that is likely to last for some time, but the prospects for Italy are more uncertain. Fear of the populist Five Star movement might prevent a new election until early 2018, also in the hope that the dismal performance of Five Star mayors in Italian cities will by then have started to diminish its appeal. In the elections in the Netherlands in March, the anti-immigration Geert Wilders may well attract the largest share of the vote. He may prefer to leave government responsibility to a coalition of smaller, more mainstream forces, however. An election in Greece might well bring back a New Democracy government after the semi-populist experience of the past few years. With uncertainty in Europe, will Germany take the lead? In March 2017, the EU will celebrate the 60th anniversary of signing of the Treaty of Rome by the original EEC6 countries. Since then, European integration has gone through phases of deepening and widening, with a fair share of upsets in between. Now, however, for the first time since its inception, there is a significant question mark about the future direction of the EU. Large parts of the population in many EU countries are opposed to further deepening or widening, or both. At the same time, however, the pressure of external events and threats has forced EU countries to try to find a common solution, in the knowledge that the member states on their own are too small to master them. The refugee and migration crisis, the terrorist threats, as well as the digital challenges, all illustrate this. European leaders will struggle to handle the competing pressures of loosening the bonds of the EU, while at the same time increasing cooperation. Whether the 2017 round of elections will produce leaders who are up to the task remains to be seen. The Europe of dreams has to some extent been replaced by a Europe of reality. Perhaps, over time, this will prove to be a development that strengthens the Union.